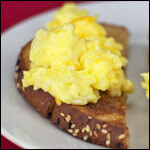 In the late 60's and throughout the 70's, Rice Krispies wasn't the only cereal making noise. 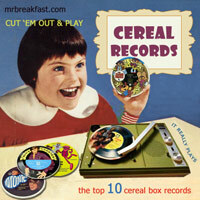 Cut-out cardboard records called flexi records were a popular cereal premium. The sound quality wasn't very good and they tended to warp days after they were cut from the cereal box, but little kids didn't mind. 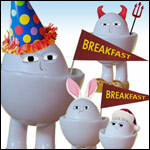 It was a thrill to hear their favorite band or cereal mascot. Often, it was the first record a kid would own. Most little kids today are unaware that albums and record players ever existed, let alone records that you cut out of your favorite cereal box. Well, believe it kids. Here's proof. 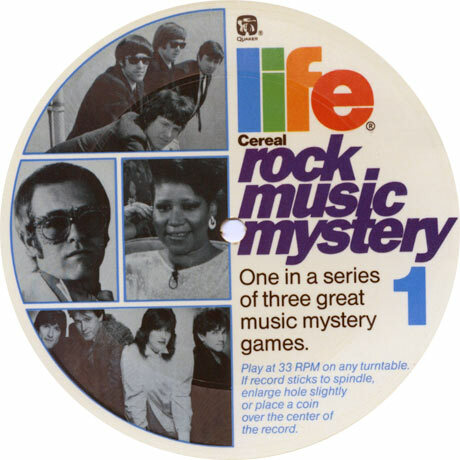 This cut-out record came from Life Cereal. It was part of "a series of three great music mystery games." 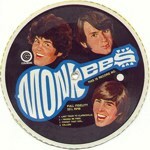 To play the music mystery game, you would listen to the record for clues and guess the titles to 4 songs. The side of the cereal box had an entry form for the contest. This is one of the last flexi records to appear on cereal boxes. It's from 1986. From Wheaties in 1956, these are believed to be the first cut-out records to appear on cereal boxes. 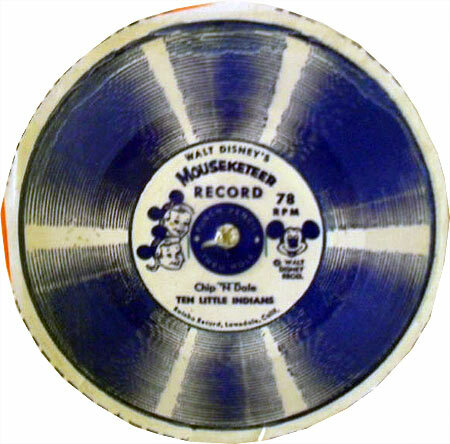 There were multiple versions including Mickey Mouse singing "The Gadget Tree", Chip 'N Dale performing "Ten Little Indians" and Donald Duck crooning "Donald Duck's Song". The records were 78 rpm (rotations per minute). 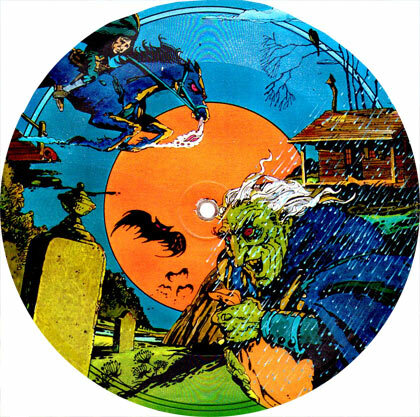 In 1977 (or possibly 1978), Honey-Comb was scaring the cereal out of children with a series of Ghost Story records. 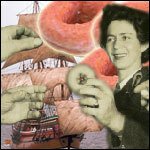 Stories included The Legend of Sleepy Hollow, The Miser's Gold and The Hitchhiker. The stories were told by Wade Denning who was a prolific jingle writer at the time. 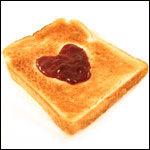 His most famous jingle was a 6-note instrumental piece for Maxwell House Coffee which mimicked the sound of percolating coffee. 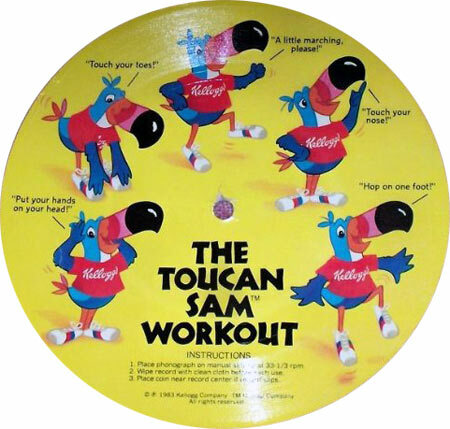 This is one of three Toucan Sam cut-out records that were available on the back of Froot Loops boxes in 1983. The other two were "Toucan Sam Takes You On A Listening Safari" and "Toucan Sam At The Big Race". According to graphics on this record, the workout consists of putting your hands on your head, touching your toes, a little marching, touching your nose and hopping on one foot. Bobby Sherman was a teen heartthrob in the late 60's and early 70's. In 1970, Post capitalized on his appeal to young people by putting records of his songs on the boxes of multiple cereals, including Honey-Comb and the now-defunct Cinnamon Raisin Bran. There were 4 different records available, each with 5 songs. Some of those songs included "Easy Come Easy Go", "Hey Mr. Sun, ""La La La", "July Seventeen", "Bubblegum and Braces" and "Little Woman". 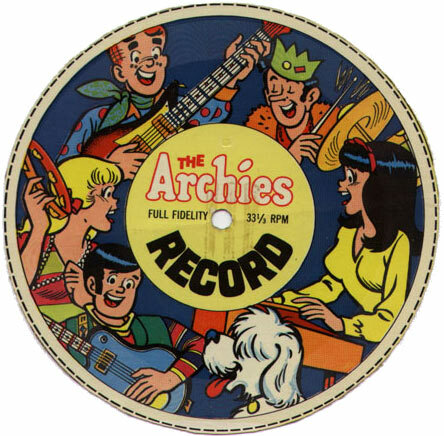 In 1969, boxes of Super Sugar Crisp featured cut-outs of "The Archies Record" There were multiple versions of "The Archies Record" each with 4 songs. One included the mega-hit "Sugar Sugar." Another featured "Everything's Archie", the theme song for the animated series "The Archie Show". Archies records could also be found on the back of Alpha Bits cereal. In 1970, the Monkees TV series had been finished for 2 years, but repeats of the show were popular as part of Saturday morning programming. Those repeats were sponsored by Post. That same year, the cereal company put cut-out Monkees records on the back of their Rice Krinkles, Alpha Bits and Honey-Comb cereals. There were 3 different records, each with 4 songs. Hits on the records included "The Monkees Theme", "I'm Not Your Steppin' Stone", "Last Train To Clarksville" and "I'm A Believer". 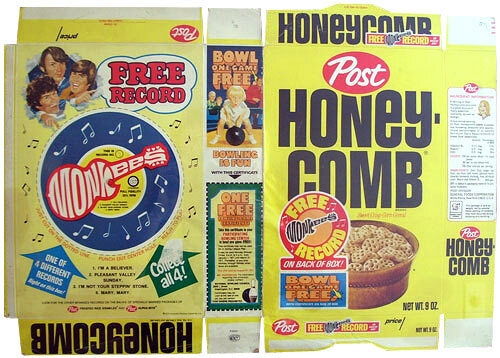 The obvious leader in cereal box records was Post Cereals. In the early 1970's, they had their highest profile records featuring the wildly popular Motown band The Jackson 5. 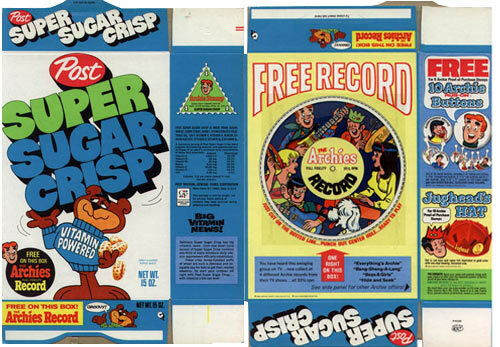 These records appeared on the back of Alpha Bits, Super Sugar Crisp and Frosted Rice Krinkles Cereals. 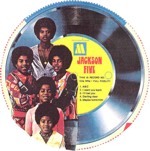 The cut-outs included some of the Jackson 5's biggest hits like "ABC", "I'll Be There" and "Never Can Say Goodbye." Post's association with The Jackson 5 went beyond flexi records. The group appeared in commercials for Alpha Bits. The Sugar Bears were a made-for-cereal pop band. 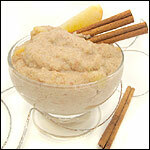 It's members included Sugar Bear, Shoobee Bear, Doobee Bear and Honey Bear. 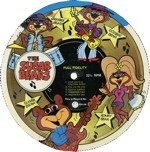 There were 5 different Sugar Bears records available on the back of select boxes of Super Sugar Crisp. In 1972, the Sugar Bears went 'outside the box' to release an actual album, Presenting The Sugar Bears. Kim Carnes, later famous for the song "Bette Davis Eyes" preformed the female vocals. On this 1979 record, Count Chocula, Frankenberry and Boo Berry are sitting around "frightfully lonely" on a Saturday night when they decide to go disco dancing. 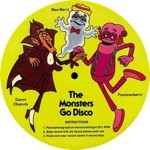 In the 4-minute adventure, they eventually win a dance contest and Frankenberry is given the nickname Franken-Boogie. There were three different Monster Adventure records found in select boxes of Count Chocula, Frankenberry and Boo Berry cereals. The other records were "Count Chocula Goes To Hollywood" and "Monster Adventures In Outer Space."